There's no million dollar jackpot for this lotto, BUT....the rewards are still sweet! 2. COLOR the area that will be painted with a WHITE crayon--this is crucial! 3. Get some acrylic paint! 4. 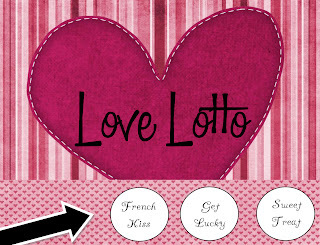 Give your love a penny with the lotto card (for scratching). Here's a visual instruction sheet for you. Summer had a great idea: After downloading, you can take these cards to photoshop to personalize them with different prizes if you don't like the ones I have. And...I always like to offer alternatives, SO, if that's too much work for you, then go buy some cheap scratch-and-win cards at your local grocery store, and put them in a card that says: "I know we haven't had a lot of time together and we haven't been able to get lucky in a while, but maybe one of us still can....."
This is a fabulous idea! I'm switching some of the "prizes" in photoshop to personalize it for my hubby. I am so glad I found out about this blog! 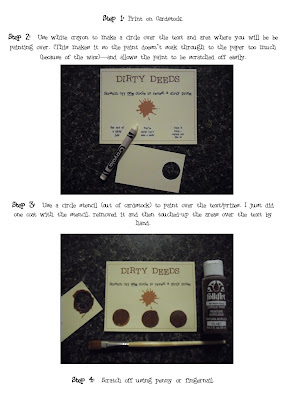 I love the LOVE LOTTO idea, I am going to try this out tonight, thanks! Your blog is so cute! I love your ideas... this one is precious! 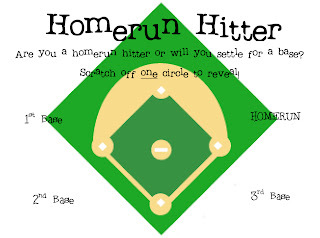 Im going to use this in conjuction with your date a month club idea. I am creating a calander with a scratch off card for the picture each month. 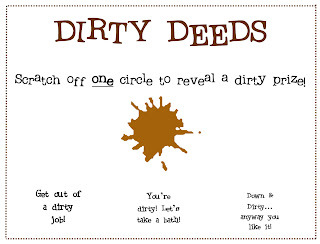 He then gets to scratch off one of the three dates and whatever is underneath is the one we will do that month! phenomenal blog,its so beautiful.i liked so much. I'm doing a little surprise every night until Valentines for my hubby and these are perfect!! Thanks!